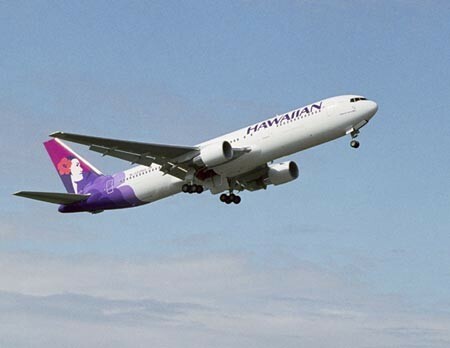 Hawaiian Airlines will start flying from Honolulu to Auckland three times weekly beginning on March 13. Hawaiian will be the only U.S. airline to fly nonstop from any point in North America to Auckland; currently, Air New Zealand flies there from Honolulu, Los Angeles, San Francisco, and Vancouver. Flights will be on Hawaiian’s 767s, which are being displaced by a fleet of new A330s on busier routes. Hawaiian says it will issue schedules and fares later, but you might start looking for some introductory deals in a few months. In case you haven’t been watching, Hawaiian is quietly becoming a powerhouse in the Pacific. It has the most nonstop routes to the mainland, recently adding New York to its list of 10 Western destinations. It also currently flies from Honolulu to Fukuoka, Osaka, Manila, Pago Pago, Papeete, Seoul, and Sydney, with new routes to Brisbane and Sapporo starting this fall. And although the carrier hasn’t announced anything, it surely has to be looking at the huge emerging middle-class market in China—along with just about every other airline in the Pacific. Hawaiian’s main focus is on bringing tourists and business travelers to Hawaii from any city it thinks can generate enough traffic. Not so well known is the fact that travelers from Hawaiian’s mainland gateways can get a free Honolulu stopover on through tickets to Hawaiian’s destinations in Asia and the Pacific. Are Credit Card Rewards a Bubble Set to Burst?